RBG Group has been in business since 1960 and has vast experience in running & managing manufacturing operations in India. 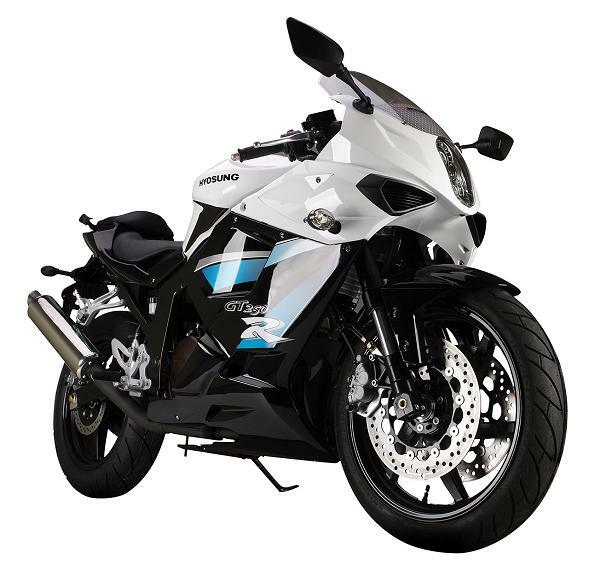 Now Garware motors ltd is a wholly owned subsidiary of Garware Bestretch Ltd. Garware Motors Limited is making a foray into the fast growing automobile segment by entering the niche segment of powerful and aspirational bikes. In fact during the pre-independence era, noted businessman and industrialist- Mr. B.D. Garware, founder chairman of Garware group, began to import the first foreign cars into India. These cars, primarily Jaguars and Lagondas, provided luxury transportation to the country’s Maharajas. Taking this legacy forward, his granddaughter, Ms Diya Garware heads Garware Motors, who’s overarching objective is to provide a world class biking experience to Indians in the affordable luxury segment. Garware Motors has entered into a partnership with S&T Motors, South Korea, manufacturers of the Hyosung brand – a brand which has earned a reputation amongst the global biking fraternity. Internationally, Hyosung have come to represent a high-end biking experience at a value-for-money proposition. The brand has gained excellent acceptance in the US, South America, UK, Australia as well as many Asian countries. By partnering with Garware Motors Limited, S&T Motors is now bringing this global biking experience to India. Garware Motors has released a statement saying that they will be launching a new 250 cc bike in India soon. It is no secret that this 250 cc bike is the Hyosung GT250R, with the GT250N following in at soon after. Garware Motors claims that their new 250 cc motorcycle will give tough competition to its close competitors, which by the likes of it is the Honda CBR250R and kawasaki ninja 250r. The company says that its 250 cc offering will be priced very competitively, with the launch scheduled for third week of May 2012. The Hyosung GT250R will be retailed through Garware Motors showrooms, which are present in Tier-II and Tier-III cities as well. The Hyosung GT250R is powered by a 249 cc, air/oil cooled DOHC engine. This 75° V-twin has 8-valves and produces 26.27 BHP of peak power at 10,000 RPM and 21.04 Nm of peak torque at 6750 RPM. The engine is mated to a 5-speed manual gearbox. While Garware Motors has not revealed much details about other aspects of the Hyosung GT250R, we are aware that the bike has the capability to nudge past 170 kmph. A weight of 171 kgs along with a fuel tank capacity of 17-litres ensures the Hyosung can be a good tourer, provided you manage to get used to the aggressive riding position. What ever said and done, a V-Twin with such gorgeous looks and an expected price of Rs. 1.95 lakhs (ex-showroom pricing) will surely win many customers for Garware Motors.